Another season is finished, and how wonderful to continue showing beautiful art to visitors almost to the last moment. A power-outage meant we closed an hour or so earlier than intended. Will we do it all again in 2017? We hope so, and if the gallery has new faces next year as well as wonderful new work, who could complain? The photo is a reminder of just how far the gallery has come from the leaky, dark and dank place it used to be. It may yet have a long way to go! To all our supporters and friends – old and new- thank you for another year. 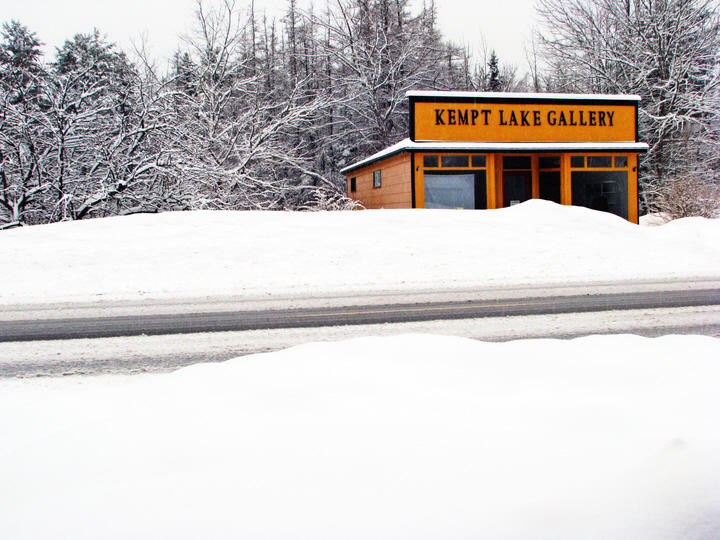 and to our artists thank you for the trust you have always put in Kempt Lake Gallery. A wonderful opening night, the joy of cool air from our new heat pump, some remarkable art – now with new work from Tammy Lewis following her show in Annapolis Royal – and a lovey write-up from Region of Queens Summer Ambassador Katelyn Mansfield. Katelyn wrote: It’s a rainy day in ‪#QueensCounty‬, but the Kempt Lake Gallery will surely brighten your day! This vibrant gem can be found nestled along the Route 8 in Kempt, Nova Scotia. Throughout the summer, the gallery will showcase collections from different Nova Scotia artists. Stop in, admire the artwork, and experience what makes the Route 8 so great! Thanks, Katelyn. Our only quibble is about the rain – the gallery brightens even the sunniest of days! We’re so pleased to say our lovely gallery will open again in early July, probably around the 7th or 8th. We’re looking forward to the challenge of another season and welcoming our artists and friends to this special space in Kempt. We’ll have work from some familiar names and with a little luck from some new faces too. Keep in touch as the plans take shape, here and on our Facebook page. We know you’ve been waiting to hear what’s happening with the gallery this year. Watch this space in the next few days, we hope to have an announcement ready soon. To all our artists, friends and well-wishers: thank you for your patience. Thank you everybody who helped celebrate the 2015 season last week, it was a great way to sign off with all the friends, supporters and artists who dropped in (and those that stayed a lot longer too!) We’ve had a wonderful year and hundreds of visitors have enjoyed the work on display. More than thirty pieces of art have found their way to new homes since we opened in July, and we’ve welcomed guests from Nunavut to Panama and Germany to the Yukon. Let’s see if we can do it all again in 2016! 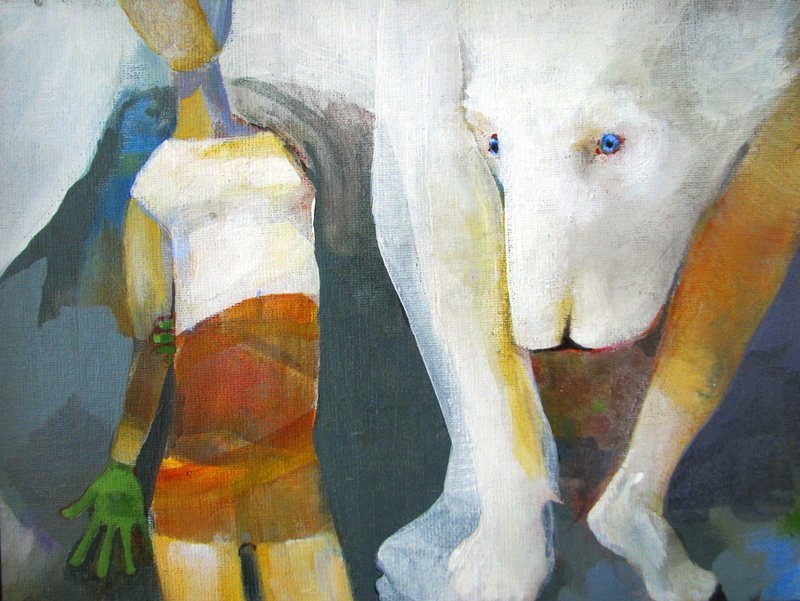 To close the season a photo of another painting by Rebekah Wetmore, something to carry the imagination through the winter. Last Seen in Kempt . . . The end of another great season is fast approaching, but there’s still time to drop in and enjoy some beautiful creations. Did you know we have some amazing work from Cheryl Stone in the form of her Pulp Humour series of papier mache? 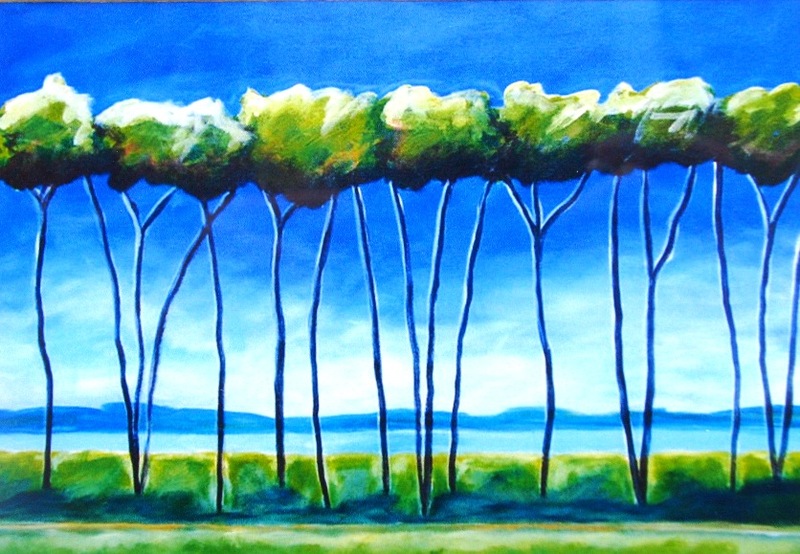 Or original paintings from Megan Gallant? Tom Leger’s beautiful lamps feel like part of the lighting but they’re works of art on their own. There’s still plenty to choose from, not least exquisite pencil drawings from Kelli Janson. If you can’t make it to the gallery before, then please come and join us on Tuesday 13th October from 4.30 until around 7 when we’ll end the season with a few bubbles, an opportunity to meet one or two artists, and a last chance to enjoy some of their wonderful creativity .